Panther Residential Management is a Boston-based private equity real estate firm engaged in the acquisition, development, and management of multifamily communities throughout the Southeastern United States. The firm was founded in 2009 and has since grown into a vertically integrated real estate company with over 100 employees. Since inception, we have acquired over 7,000 residential apartment units across 26 multifamily communities with a total transaction value of over $1.3 billion. We are committed to providing the highest quality of service at all levels of our organization. We embrace the extraordinary and aspire to go beyond the routine in our mission of creating distinctive experiences for our residents, employees, and investors. We expect our people to maintain high ethical standards in everything they do. We believe in a culture of open-mindedness and constantly strive to find a better solutions for internal and client challenges. Our employees are our greatest assets. We strive to attract, retain, empower, and reward top talent. To become a leading multifamily real estate company recognized by the distinctive experiences we create for our residents, employees, and investors. We have over 30 years of combined experience in commercial and multifamily real estate. We employ a hands-on and visible management style while maintaining focus on the company's overall mission, values, and strategic direction. Our industry awards, news and press releases. We have successfully navigated a variety of unique multifamily projects . We are continuously looking for talented people to join the Panther Residential team. Role at Panther : Lou is the Founder of Panther Residential Management and currently serves as Managing Director for the firm. He is responsible for the overall direction, vision and leadership of the company with a focus on investment strategies, capital partners, and new development objectives. Lou leads with a hands-on approach to guide every aspect of the firm leveraging his diverse real estate experience and knowledge. In addition, he oversees the firm's day-to-day operations and execution of its overall business, management and development strategy. Relevant Experiences : Previously, Lou formed Compass Realty Associates, a private equity real estate firm that currently owns and/or manages approximately 1 million square feet of property throughout New England. Additionally, he founded Compass Realty Partners, an $80 million real estate investment fund with assets exceeding 1 million square feet, including auto dealerships and retail shopping centers throughout New England. Prior to Compass, Lou ran Karger Realty, Inc., a real estate and development firm specializing in mixed-use retail/residential and hotels. 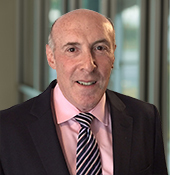 Education/Affiliations : Lou is a graduate of Boston University and has served on the board of directors for The Association of Starwood Franchisees of North America (ASFONA), The Starwood North American Owners Advisory Council, and The Boston University Hillel Steering Committee. Additionally, he is a big brother through Jewish Big Brothers Big Sisters of Greater Boston (JBBBS). Role at Panther : Eric is responsible for the formulation and implementation of the firm's acquisition and disposition strategies. Eric closely manages all investment opportunities with a strong emphasis on investment analysis and corporate controls to ensure the firm meets the strategic goals of its investors, partners and employees. Relevant Experiences : Eric began his real estate investment and development career in March 2005 with Interstate Commercial Real Estate where he was involved with sourcing and developing commercial bank branch locations for Commerce Bank N.A. throughout Florida. 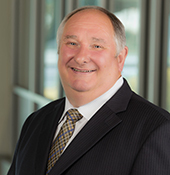 During his tenure at Interstate Commercial, Eric was involved with Commerce Bank's 250-store Florida expansion and was directly involved in over 40 real estate transactions with value in excess of $150 million. 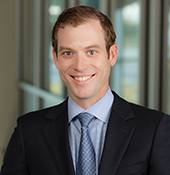 Following his career at Interstate Commercial, Eric joined NWJ Companies, where he was responsible for the acquisitions and financing of the Southeastern U.S. multifamily portfolio. Education/Affiliations : Eric received a B.B.A. from Drexel University with a concentration in Finance and Economics. 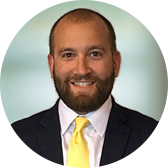 Role at Panther : As Director of Property Management Adam provides leadership, vision, and direction to the property management division of the organization. He is responsible for overseeing the management, leasing, maintenance and marketing of Panther Residential's entire portfolio. Adam directs and monitors the short-term and long-term property business plans in coordination with the executive management team. Relevant Experiences : Adam has more than 20+ years of experience in property management. 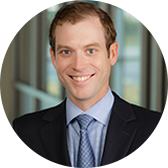 He has served in management, supervisory, and leadership roles across the Southeast and Texas at Greystar, The Lynd Company, Bell Partners, and CF Lane (formerly The Lane Company). Adam has been involved in numerous property transitions, lease ups, re-positioning and sales and has managed or supervised over 13,000 apartments in his career. His strengths are in maximizing revenue opportunities for owners, cultivating teams, and strategic planning. Education/Affiliations : Adam holds a real estate license in the state of Georgia, a Community Association Managers license in the state of Florida, a Certified Apartment Manager designation with the National Apartment Association and is a Certified Property Manager candidate with IREM (Institute of Real Estate Management). 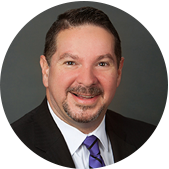 He also currently serves on the Legislative Committee for the Apartment Association of Greater Orlando. Role at Panther: Kellie Mendez oversees the daily operations of the company's entire multifamily portfolio, and is responsible for implementing Panther's property management strategy. She leads a team of regional managers and property managers to execute business plans designed to meet and exceed financial and operational objectives. She maintains company standards by ensuring compliance with operational policies and procedures. Relevant Experiences : Kellie has over 28 years of experience in residential property management. She brings a wealth of knowledge in construction lease-ups, renovations, due diligence, stabilized property operations, as well as asset dispositions across a variety of property types and classifications. 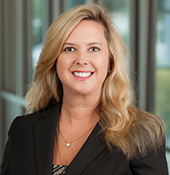 Prior to joining Panther, Kellie held senior roles at Trammel Crow, Gables Residential, and Greystar. She has proven expertise in cultivating a culture of trust and locality among associates within high-paced, results-oriented corporations. Education/Affiliations : Kellie holds a Florida State Real Estate License and is an active member of the NAA, AAA, IREM, NMHC, and GAIEF. Role at Panther : Per is the chief accounting officer for Panther Properties. He manages the company's financial statements, general ledger, cost accounting, HR, payroll, accounts payable, accounts receivable, budgeting, tax compliance and special analysis. He also supervises the accounting staff and is responsible for investor capital accounts and distributions. Relevant Experiences : Per has more than 25 years of experience as a controller in the real estate, retail, and hospitality industry. Currently, Per is also controller at Compass Realty Associates, LLC, a private equity real estate firm that currently owns and/or manages 1 million square feet of property throughout New England. 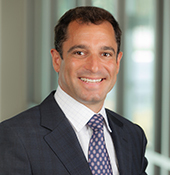 Previously, he worked as controller for Compass Realty Partners, LLC, an $80 million real estate investment fund with assets exceeding 1million square feet, including auto dealerships and retail shopping centers throughout New England; for Karger Realty, Inc.; and for Four Points Sheraton Boston Logan Airport. Education/Affiliations : Per holds a B.S. in Accounting and Finance from Oslo Economic College in Oslo, Norway. Role at Panther : Ethan assists with all aspects of the acquisition and disposition platform. His roles include deal sourcing, evaluation and due diligence of new real estate acquisitions and disposition opportunities that are consistent with the firm's investment strategies. 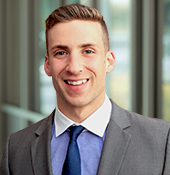 Relevant Experiences : Prior to joining Panther, Ethan worked for Jamestown Properties in the downtown Boston area. He was responsible for the financial and operational management of three core assets in the Boston and Cambridge/Kendall Square markets including office, lab, retail and residential property types totaling approximately 900,000 square feet and 175 tenants. Ethan was also involved in the transition process for two major acquisitions to Jamestown's Boston portfolio. Education/Affiliations : Ethan received his B.A. from Eckerd College. 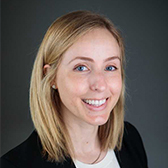 Role at Panther : Sara Bartlett is the Manager of Investor Relations, where her responsibilities include supporting and growing partner relationships as well as serving as liaison between management and investors. She oversees the investor subscription process and facilitates fundraising and the production and dispatch of investor communications and distributions. Relevant Experiences : Previously, Sara was an analyst at Goldman Sachs in the firm's Global Risk and Control division. Her key responsibilities were to provide oversight of the various global operations and controller teams and to report regulatory and operational risks associated with those teams. In addition, she was responsible for suggesting control improvements to the data flow process and was extensively involved in the development, testing, and implementation of new business flows, with particular emphasis on their impact to the firm's books and records. Education/Affiliations : Sara is a graduate of the University of Georgia where she was a member of the women's swim team. She is a former member of the USA Swimming National Team and two-time Olympic Trials competitor. Role at Panther : Suzanne is responsible for managing all new hires and employee benefits programs. She also is in charge of implementing human resource programs, best practices, and policies ensuring Panther's legal HR compliance. Relevant Experiences : Suzanne has 20 years of experience working in the property management industry, with multiple residential and commercial development, and management companies. Education/Affiliations : Suzanne holds a B.S. from Southern New Hampshire University. Role at Panther : Richard is actively involved with project due diligence, industry related research, corporate communications, and investor relations. Relevant Experiences : Richard brings 37 years of experience in Wealth Management and was a co-founder and managing principal of Centerpoint Advisors LLC., a Registered Investment Advisory firm based in Needham, MA. 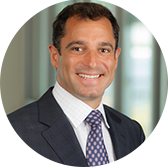 Richard is also a co-founder of the Brandeis University Business and Professional Network. Education/Affiliations : Richard holds a B.S. in Political Science with a minor in Economics from Brandeis University. He is a Registered Investor Advisor and holds a FINRA Series 63 and 65 licenses. Richard also serves on the Advisory Board of The Children's Room, a non-profit in Arlington, MA. Role at Panther : Morgan oversees the operational, reporting, strategic planning and capital improvement aspects of Panther's portfolio. He is responsible for formulating and executing short-term and long-term asset management strategies and providing operational support to the management company. 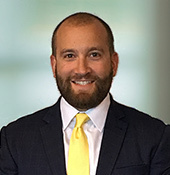 Relevant Experiences: Morgan has 15 years of experience in real estate business and law, where the majority of his practice has focused on residential and commercial acquisitions, development, leasing, and sales. 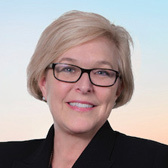 Prior to joining Panther, Morgan directed leasing and management activities across nearly 1,000,000 square feet of commercial real estate for Cummings Properties. Education/Affiliations: Morgan holds a B.A, from Wesleyan University in Middletown, CT, and a JD from Suffolk University Law School in Boston. 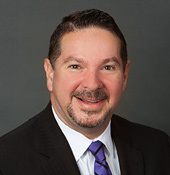 He is a licensed real estate broker and is admitted to practice law in the Commonwealth of Massachusetts.